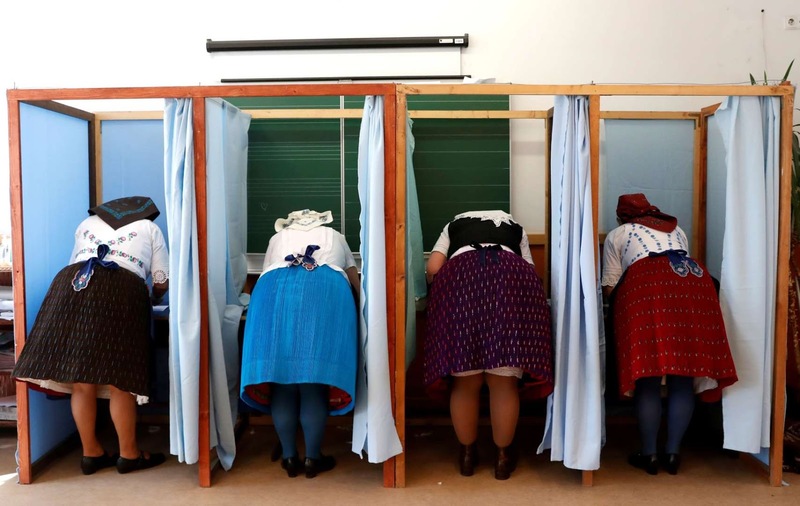 Hungarian women, wearing traditional costumes, fill their ballot papers at a polling station during Hungarian parliamentary elections in Veresegyhaz, Hungary. 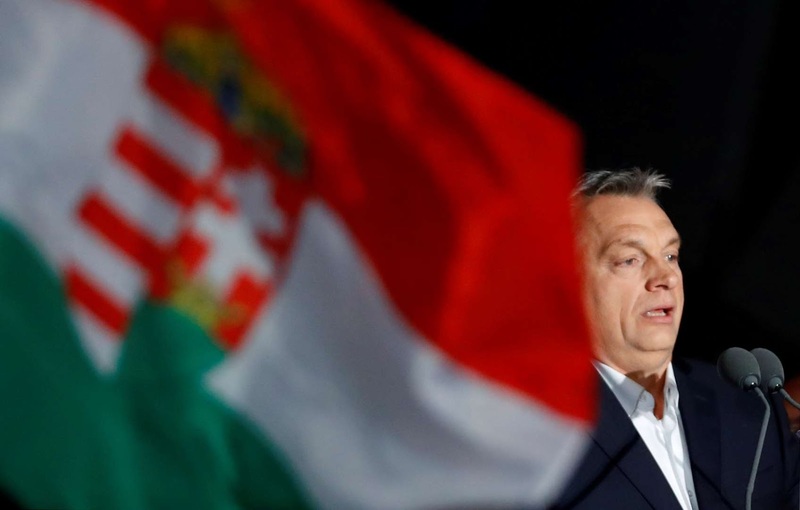 Hungarian Prime Minister Viktor Orban addresses the supporters after the announcement of the partial results of parliamentary election in Budapest, Hungary. 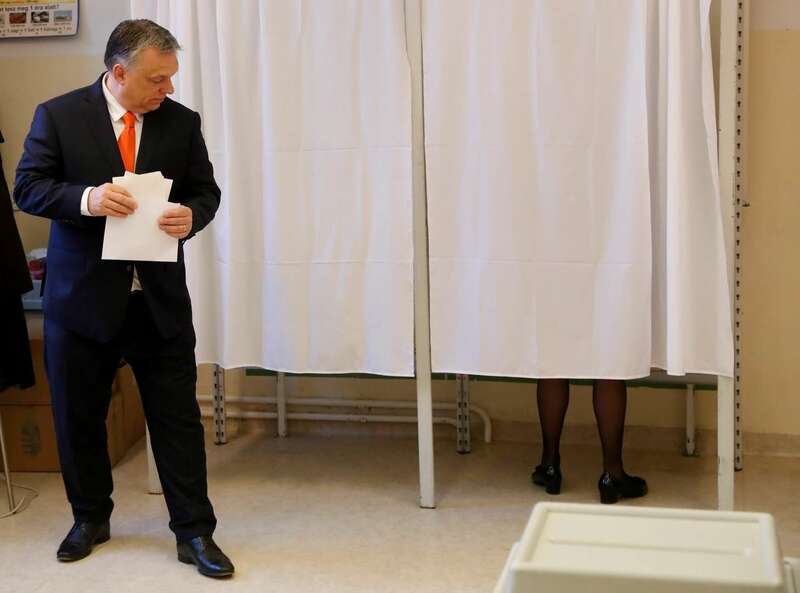 Current Hungarian Prime Minister Viktor Orban leaves a polling booth to cast his ballot during Hungarian parliamentary election in Budapest, Hungary.